Experian outgrew its marketing model a few years back. The California-based credit report company realized the need to move faster in a world where consumer patience is at an all-time low. Enter The Cooler: a two-year-old in-house agency that leads storytelling and content for Experian's overall branding and response communications across nearly every consumer touchpoint and channel, including broadcast, digital, social, PR, mobile, experiential and garbage can wraps. 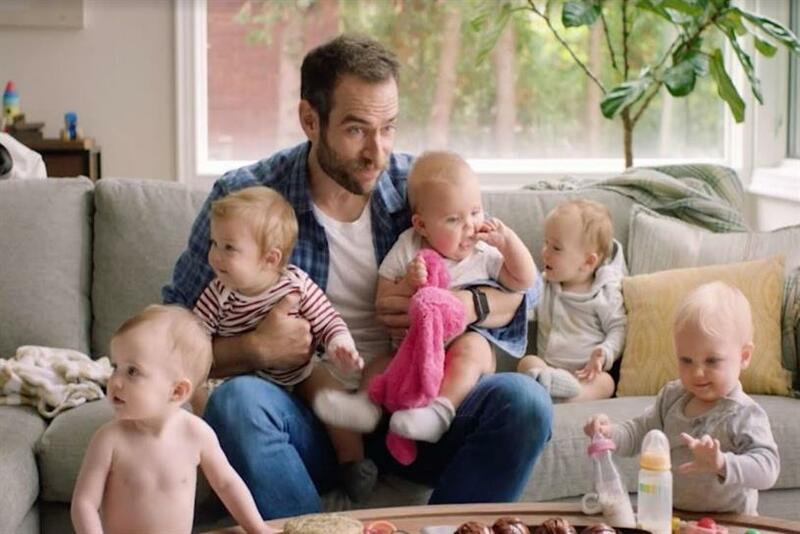 The team, named after hardened New Yorker and Chief Creative Director Todd Miller’s disdain for hot weather, works exclusively with Experian on multiple campaigns that supports the company’s ultimate goal to drive consumer and client empowerment to manage their data with confidence. It’s behind a string of adverts launching today to drive Experian Boost -- a new tool that's tipped to significantly improve financial inclusion for millions of Americans. "In the previous building where the team was located, I kept my office so cold that some of the team kept jackets just for meetings," Miller told Campaign US. "One day, someone noted that being in my office was "like being in a cooler." At that moment, we all immediately knew what we’d be called. " Experian Boost, which is available at no cost to all credit-active adults in the United States, lets consumers to add positive payment history directly into their Experian credit file for an opportunity to instantly increase their FICO Score. The narrative for the Boost launch campaign focused on getting credit where credit is due. Championed by Kevin Everhart, Experian’s vice president of marketing, The Cooler tapped Tarsem Singh, director of ads for Coca-Cola and Nike and feature films Immortals and Mirror Mirror. Speaking of the importance an in-house agency played in this drive, Miller, said: "Experian Consumer Services has had enormous change and growth in the last few years. As we grew our presence with consumers, we changed our marketing model because we recognized the need to take advantage of an in-house agency, which allows us to do more work, more quickly and efficiently. "It’s been beneficial to have a team that is on the ground working side by side with Experian departments that can be involved in all of our meetings, build relationships and trust with colleagues and be fully integrated with the product ideation from the start and the go-to-market launches." Since announcing Experian Boost less than four months ago, the company has found that -- depending on credit tier -- 10 to 15 percent of consumers have moved into a better score category. Additionally, the average FICO Score increased by more than 10 points. "There are more than 100 million consumers who either have thin credit files or no credit history," said Craig Boundy, Experian North America CEO. "Our goal is to help consumers across the country build credit and get better access to credit. Experian Boost is one way we are doing this and we’re very excited to get this new tool into the hands of consumers." Boundy added: "Experian Boost is exactly what consumers have been asking for. More than 70,000 Americans joined the Experian Boost waiting list, underscoring how eager consumers are to control their data and potentially increase their credit scores."